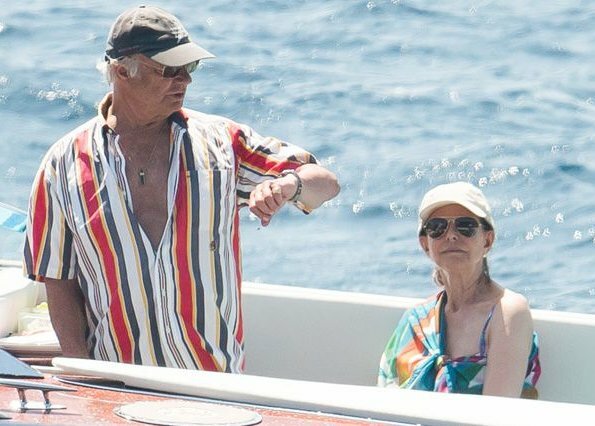 King Carl XVI Gustaf and Queen Silvia of Sweden were on their boat at the L'Escalet Beach in Ramatuelle, near St-Tropez, southeastern France on July 31, 2017. 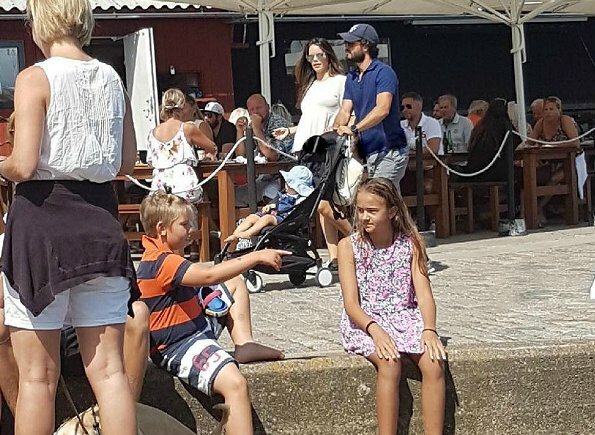 Prince Carl Philip, his wife Princess Sofia and their son Prince Alexander were seen in Bastad on August 1. 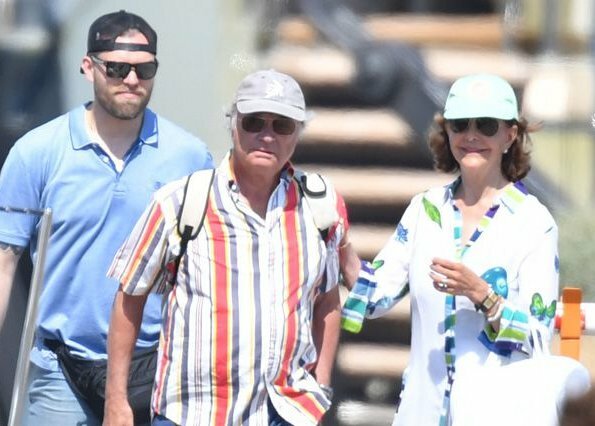 😀 if you look at their pictures, these ones are the first in a long time, when queen Silvia touches or even says a few words the king. I think when you have such a huge luxury you stick to it in a way. Or just don't want to cause yor kids a problem, eg: two Xmas dinners. 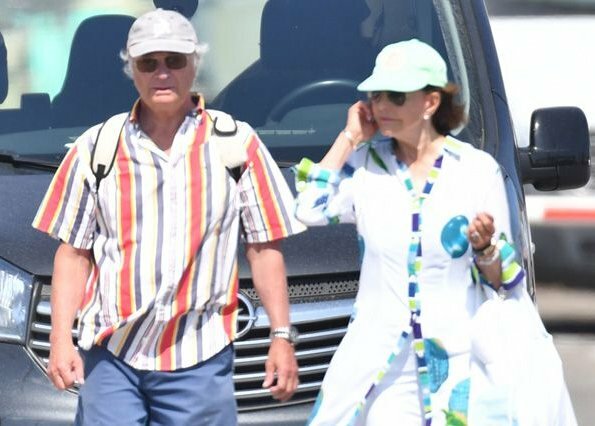 Or it is just not on option in royalty, like queen Sofía of Spain. What a nonsense. They have been already many years again in good terms with each others. You do not need to go further than Victoria´s birthday and they were touching. 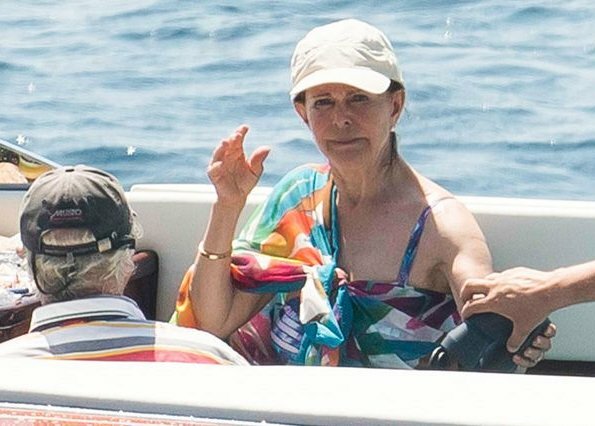 Kelly ,montrez moi Une reine qui a quitté son mari pour cette raison ! Sorry, I cannot read French. Or to her wedding vows and love? ;) no-one really knows the story except them. Good for them that they could work through it and stay together. wHO IS THE MEAN LOOKING GUY IN PIC 2 BEHIND C.G. ?